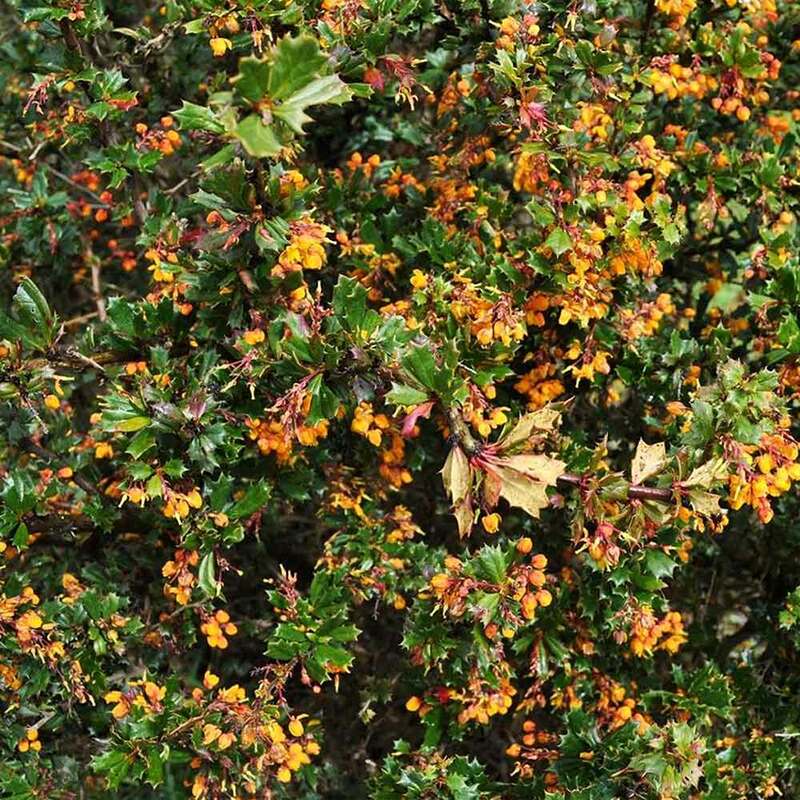 This is a beautiful variety of evergreen Berberis (other evergreen Berberis or Barberry include Berberis stenophylla and Berberis juliana) with bunches of orange/yellow nodding flowers held on red stems in spring and small dark green prickly leaves (like tiny Holly leaves). There is a bonus of blue/purple autumn berries and sometimes a second flush of flowers, but really we'd recommend this species for its spring colour and prickly evergreen leaves. 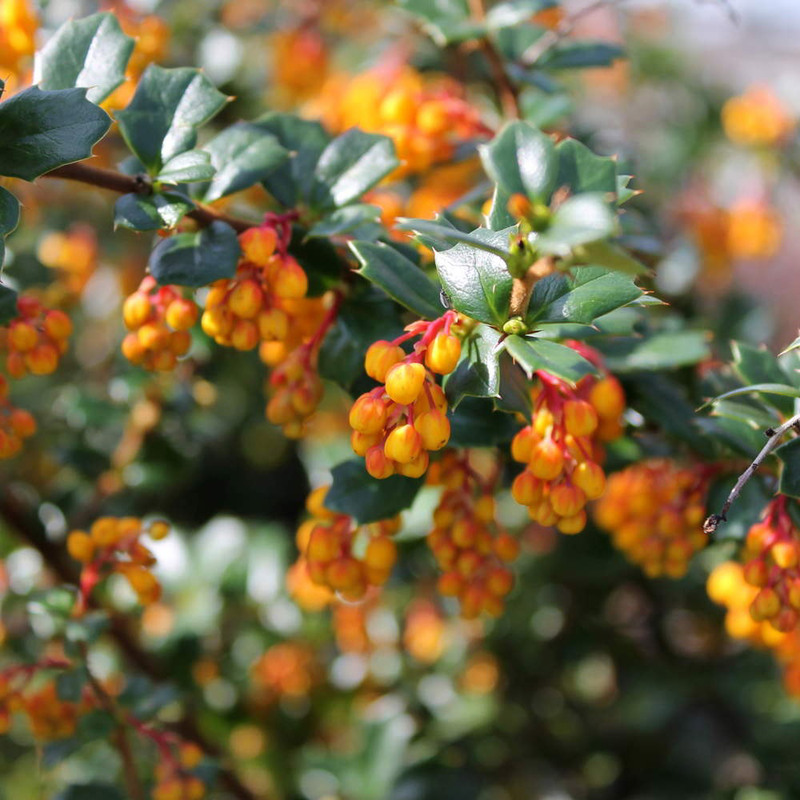 Being prickly in nature, Berberis is one of the species we'd also recommend if you were looking for a security or intruder proof hedging solution.  For other intruder proof alternatives please take a look at our Intruder Proof Hedging page. 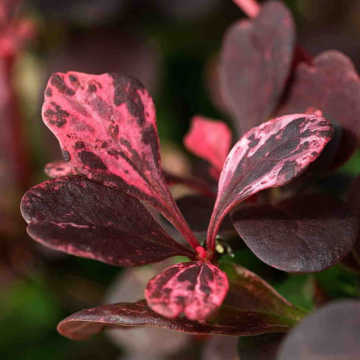 For more information on all the varieties of Berberis available on the site, see our guide to Berberis hedging plants. 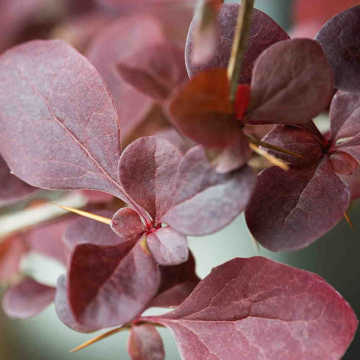 However if you'd like a more overall picture of the types of hedging available and the species within those categories, please visit our Choosing the Right Species page which has suggestions and alternatives for every wish list or requirement. 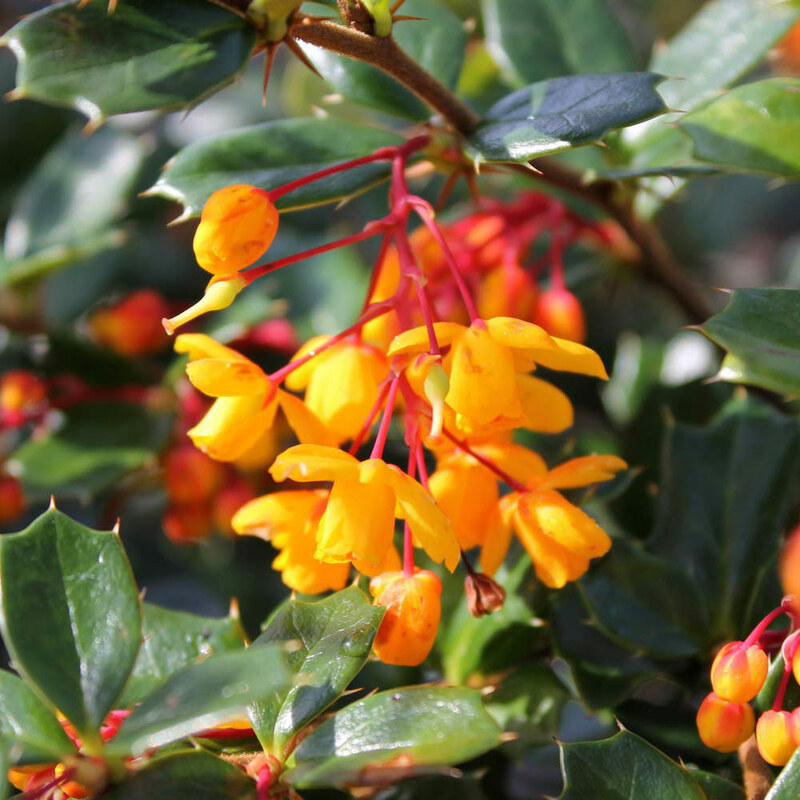 Berberis darwinii is quite fast growing and could easily make 3m if unchecked but it is also easy to trim and maintain to about 1.5m. Just cut back any long branches or neaten the overall shape in autumn when the berries have been eaten/fallen. It is fine in any well drained soil and sun or partial shade. Pruning should be done immediately after flowering.